NOTE: This product is a version, a variant or a module of a main product. For further information about this product, visit the main product page. The CP-TOUCH control panel is a highly customizable touch-screen control panel that may be used in a variety of different applications including master control, studio automation and outside broadcast. The control panel is designed for combined control of signal processing and routing equipment. CP-TOUCH occupies one rack-unit and the control surface is based on a wide touch-screen that works in conjunction with two rotary wheels. The touch-screen allows for the customization of the user experience. The panel may be programmed with multiple layouts for different production needs. 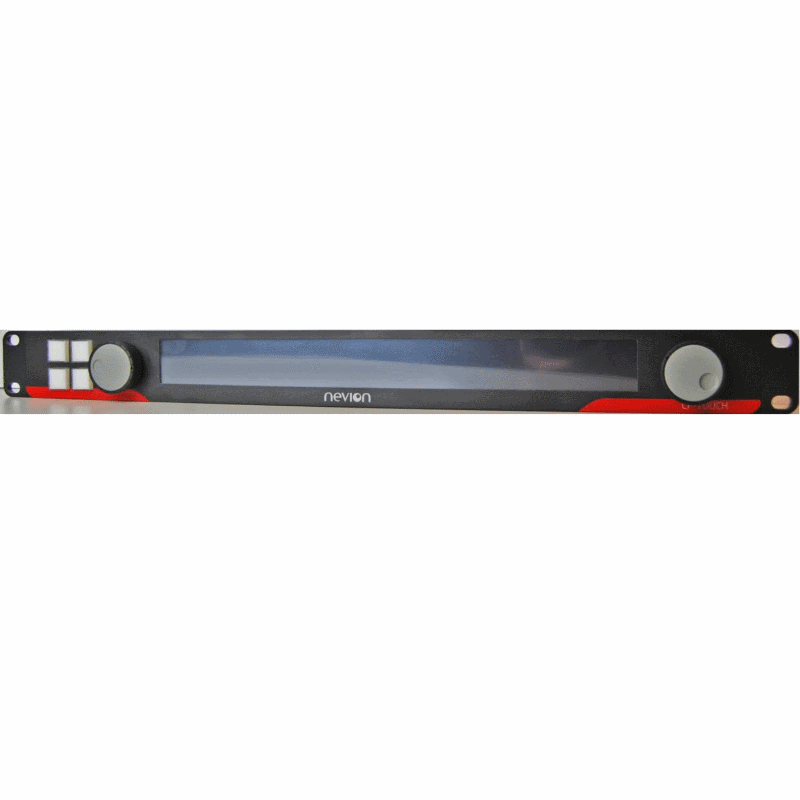 The panel is fully integrated with Nevion´s Multicon control system for control of Flashlink signal processing and vikinX video/audio routers. Control of third-party broadcast equipment is also possible using plug-ins. Please note we do not accept Role-based Addresses - typically company addresses defined by a job rather than a person. We also accept ONLY job related mails connected to your web site domain. Other mail address i.e @gmail, @yahoo, @hotmail, will automatically be rejected. I want to know more about CP-TOUCH Touch Screen Control Panel.